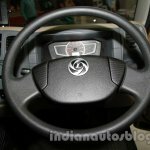 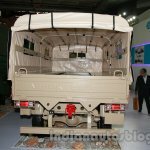 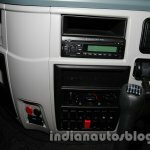 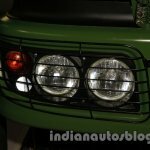 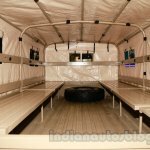 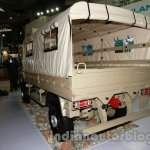 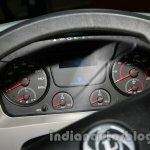 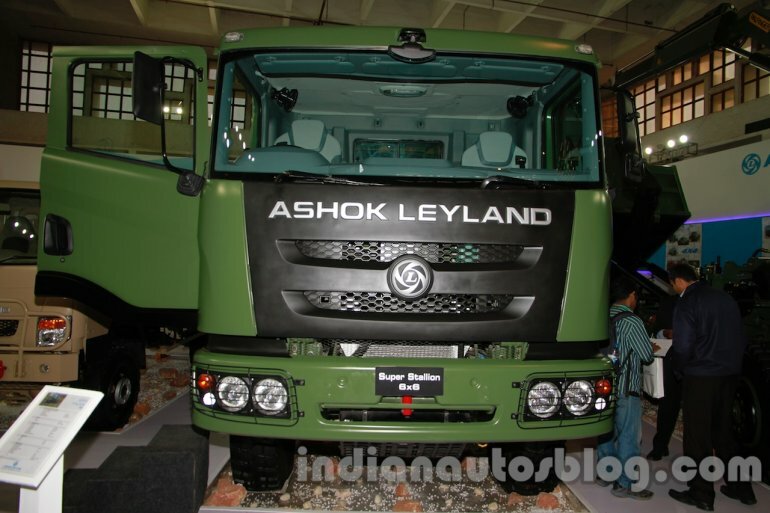 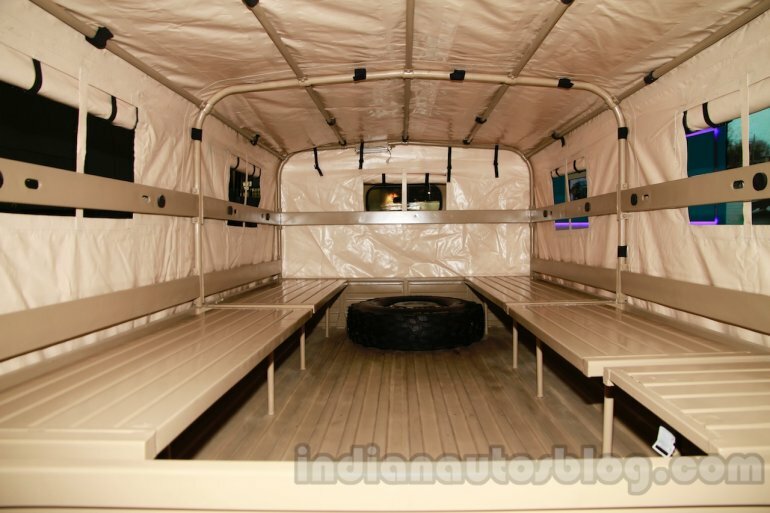 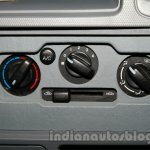 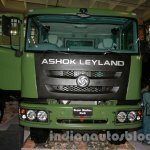 Ashok Leyland also unveiled another new vehicle and a new cab at the DefExpo India 2014 in Pragati Maidan in New Delhi. 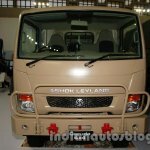 A Garuda in a 4X2 variant is already in service, and the 4X4 variant was showcased for the first time at the DefExpo 2014. 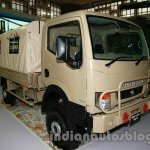 The Garuda 4X4 gets a 6-tonne GVW and a 2.5 tonne payload. 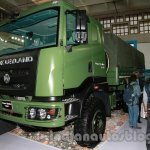 It is aimed at creating a new category for the paramilitary forces. 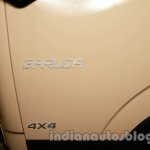 The Garuda 4X4 is powered by an in-line four-cylinder diesel engine that makes 118 hp with a peak torque of 320 Nm and is mated to a manual 5-speed gearbox. 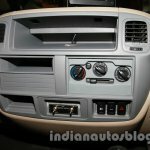 The Garuda only gets a day cab, with an air conditioning unit, rear view camera and shovel and pick axe are offered as optional accessories. The 4X4 can be used as a troop carrier vehicle or as a radar and machine gun mounted vehicle. 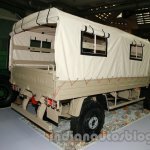 The Garuda 4X4 measures 5,480 mm in length, 2,000 mm in width and 2,460 mm. 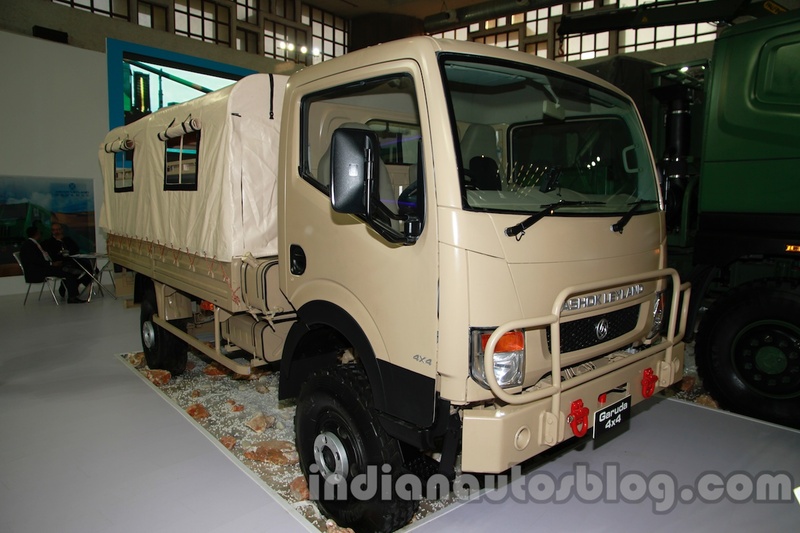 It gets a wheelbase of 3,330 mm and 250 mm of ground clearance, thanks to its 16-inch wheels. 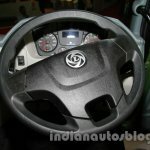 It also gets integral power steering and hydraulic brakes. 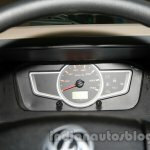 The Garuda 4X4 has a maximum speed of 100 kph and a maximum gradeability of 20 degrees. 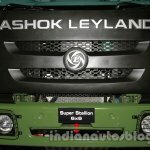 The Super Stallion 6X6 has already been launched and is currently in active field duty. 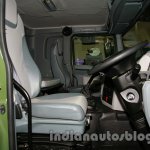 The company has provided the truck with an updated cab featuring some major improvements. 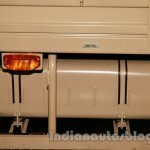 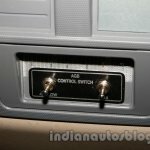 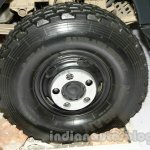 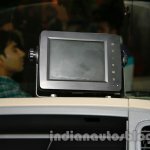 Due to the confidentiality relating to vehicles on the field, the company refused to divulge information about the new cab. 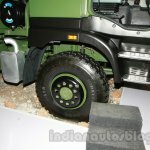 The Super Stallion 6X6 is powered by the same six-cylinder engines from the Neptune family that powers the Super Stallion 10X10. 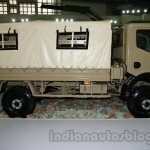 It is used as a troop carrier, command post vehicle, field artillery tractor, mounting weapon system, radar carrier, fuel dispenser and rocket launcher.